January is usually a busy period for finance departments as they close their books and prepare all the necessary reports – financial and management. If you are an accountant or a financial reporting professional, your head is probably buried preparing these reports now. Management reports inform managers of the state of a business´ performance so that sound decisions can be made. This is done by tracking various key performance indicators (KPIs) that through time will show recognizable trends of the business´ financial and operational activities. These management reports though are only as useful as the effort exerted in preparing them. No matter how many reports the finance department can produce, if the insights are not actionable, they are still useless in terms of decision-making. 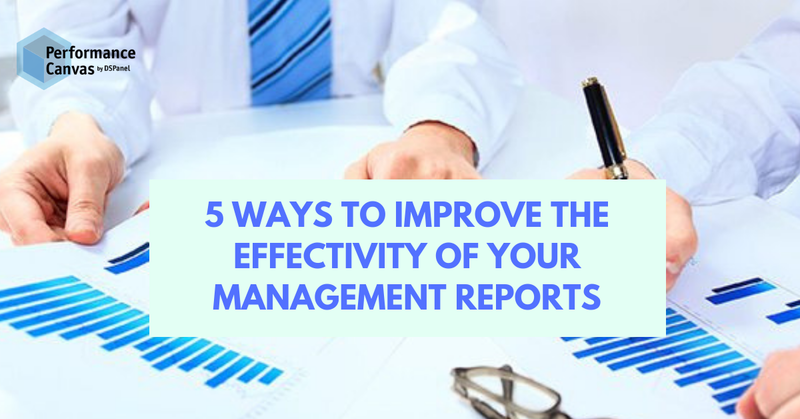 So here are 5 tips on how you can improve the effectivity of your management reports. Before you begin to create reports, ask yourself who this report is for and what its purpose is. What are the key drivers of the business and how will success be gauged? Starting with the end in mind ensures that reports are not created in vain. It will also be simpler to carefully track performance when you have prior goals set. More is not always better. When it comes to tracking KPIs, it is more important to focus on a few but critical KPIs that are chosen based on the report consumer´s position and need. By taking into consideration who will consume the report and for what, it will be easier to formulate business questions that will require data backing for answering. In the past there has always been a disconnect between what finance people present and what the rest of the stakeholders comprehend. It is important that data is presented in a form of a story so that everyone in the organization can follow. What this means is that there must be a flow to how data is told – beginning, middle, and end so that the trends or patterns you are trying to point out is more understandable. Use number contrast where appropriate so that metrics are easily compared. We are all humans. No matter how important the data or figures being presented are, if they are shown in an overwhelming manner, very little of that can be absorbed by our brain. When doing management reports, remember visual beauty is key. Display only 3-5 KPIs maximum so that it does not become overwhelming. If you think you have way too many KPIs you want to present, that is fine but arrange them based on importance and highlight only the KPIs that really matter. Make use of modern and easy-to-understand online dashboards that will allow you to present your data and insights in an interactive, easy to digest manner. If you are still doing paper-based reporting, you must stop and try to catch up with the rest of the world. Online reporting software in the cloud such as Performance Canvas Financials offers you drag and drop reporting, interactive dashboards, and real-time reporting capabilities that will eliminate errors and increase your efficiency. Investing in a good reporting software that will allow you to produce reports with actionable insights in no time is truly worth it for your job satisfaction and for the sake of the entire business. If you are serious about wanting to improve your management reports, take advantage of the leading best practices in management reporting that are injected in the cloud FP&A software – Performance Canvas Financials. Subscribing to this solution is subscribing to innovation, quality assurance, and automation. Visit www.performancecanvas.com or email info@dspanel.com for more information.